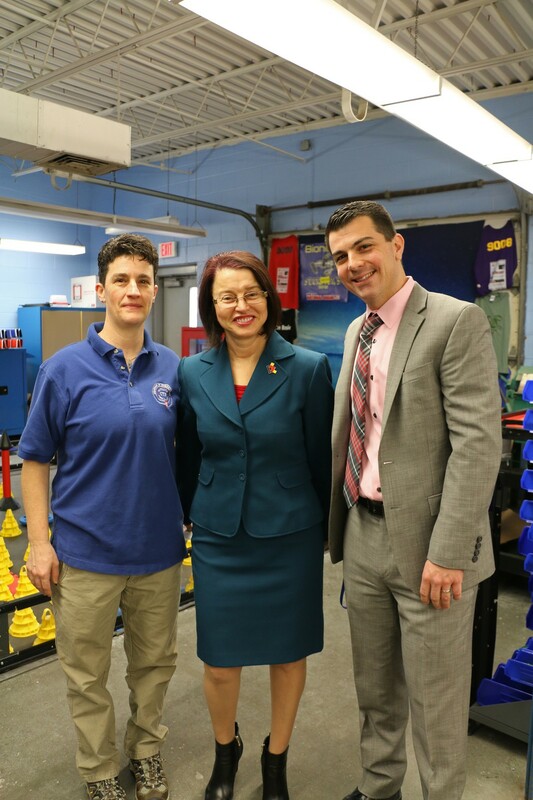 President of Wentworth Institute of Technology Visits Scituate HS! 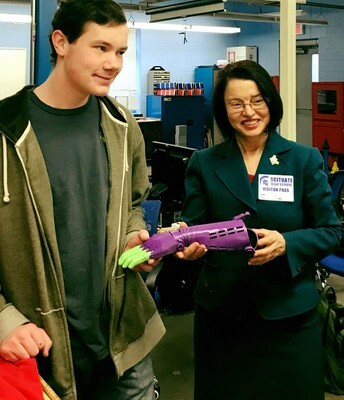 The president of Wentworth Institute of Technology - one of the top rated schools in the country according to The Wall Street Journal and Times Higher Education - said she was so impressed with Scituate High School’s engineering students that she visited the campus to recruit the young engineers and hear about their work creating a prosthetic arm for a local 9-year-old. 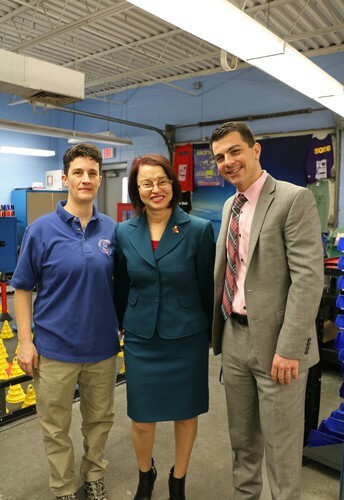 On Wednesday, Feb. 14, Zorica Pantić, president of Boston’s WIT, was welcomed by students of the SHS Career and Technology Education engineering program and faculty members. 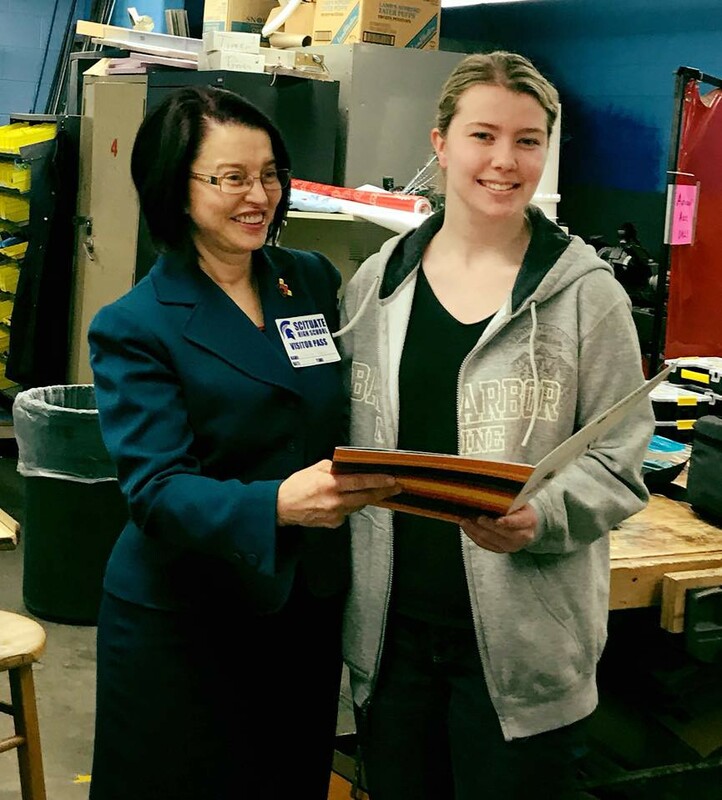 Students gave a presentation breaking down the development process of the prosthetic materials, and Pantić told them about top-rated WIT programs and possible careers post-college for Wentworth alumni. Pantić said once she saw the project SHS students created for Olly Mancini, 9, meeting the Scituate teens in person was a must. “I was very impressed by the work that the students have done - they really changed the life of Olly, and that’s what Wentworth is all about,” she said. “We want them all to come to Wentworth … We’re here to recruit,” she said with a smile, speaking of the SHS teens. 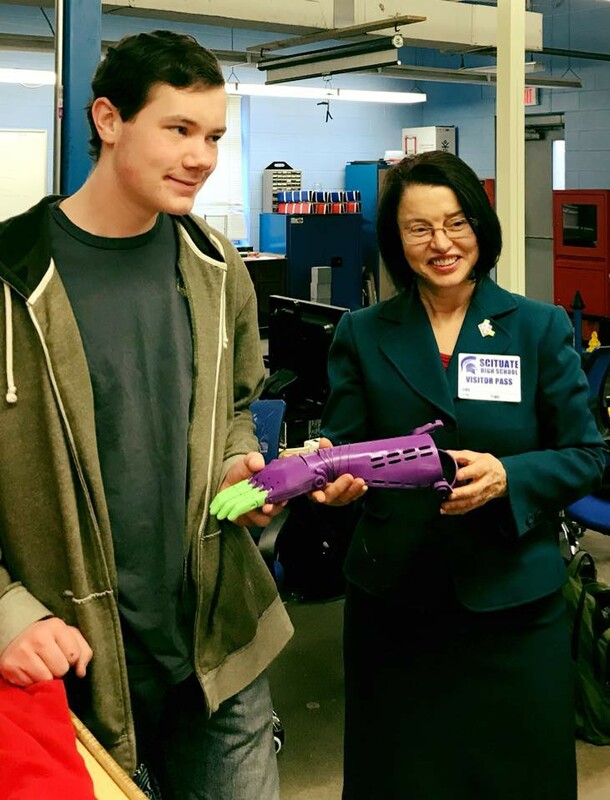 Principal Mike Hassell said, “We’re very honored to have Wentworth Institute of Technology reach out to us,” adding that Scituate students and the school’s CTE program are being recognized for their hard work on an international scale since news first broke about the prosthetic arm project. He said there is instrumental value in partnering with other institutions like Wentworth, as the collaboration helps SHS further prepare students for the future and train them for necessary skills in college, and encouraged students to apply to the SHS CTE program. 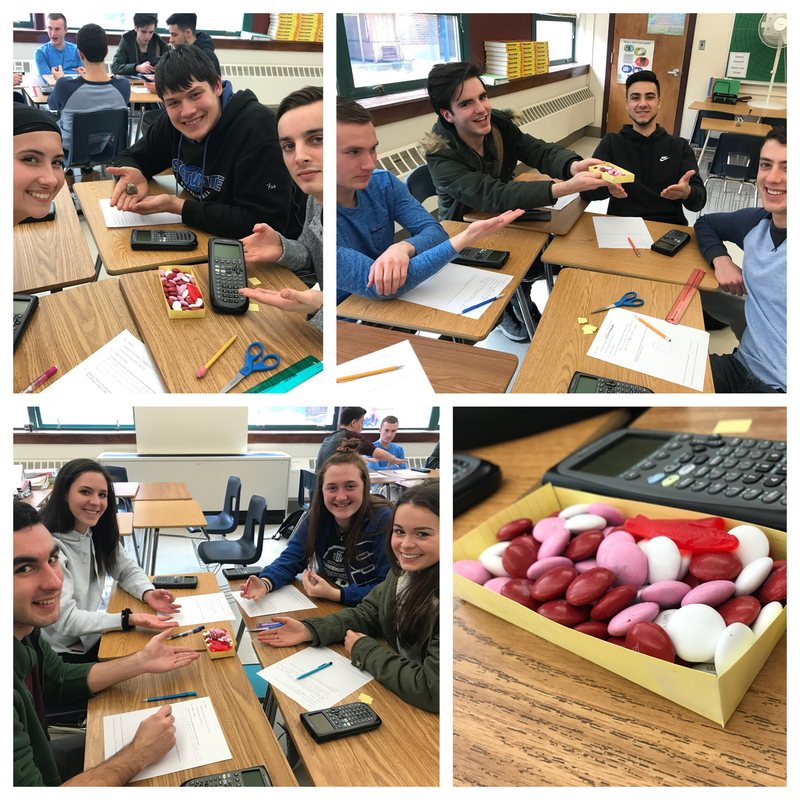 Students in Mrs. Dailey’s AP Calculus class used function modeling and their knowledge of extrema to design and build containers of maximum volume using a given piece of material. The motivation? 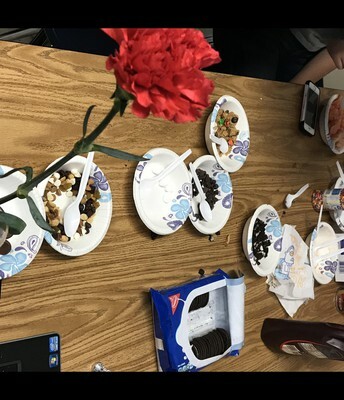 Getting as many Valentine candies as possible in their boxes! 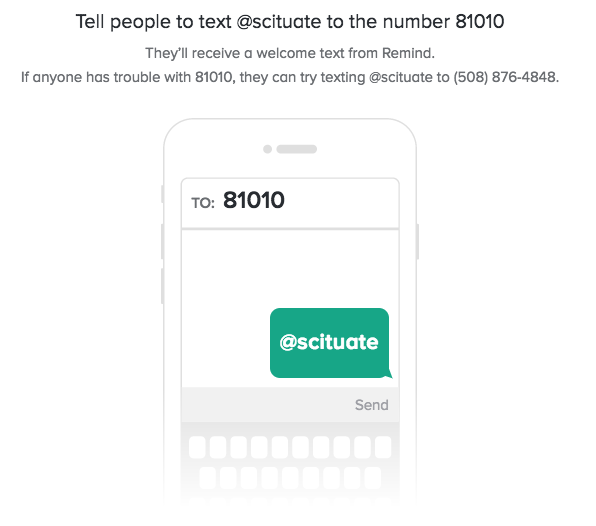 Please help Scituate get close to 100% Family participation in SurveyWorks Survey! SurveyWorks is a statewide survey sent out annually to students, families, educators and administrators to hear from Rhode Islanders directly about their experiences in our state's public schools. 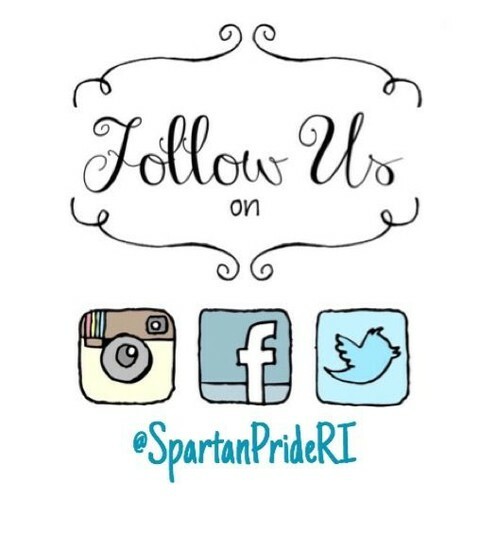 Let's show RI that Scituate has the best community! 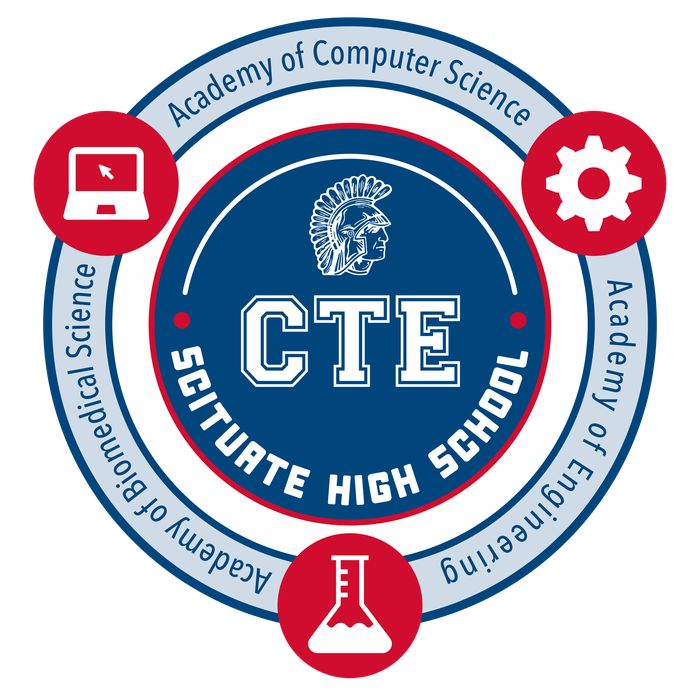 Scituate Scholarship Fund Applications will be available on Tuesday, February 27th in the High School Guidance Office. The Scituate Scholarship Fund encourages all high school seniors in good standing who are residents of the Town of Scituate, RI and plan to continue their education as full-time students following graduation to apply for one of several financial awards. Please see Mrs. Pietrantozzi in Guidance for an application. Deadline is April 6, 2018. 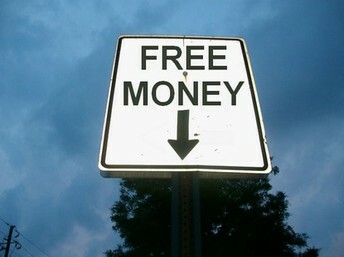 Scholarship Lists are Updated Weekly! 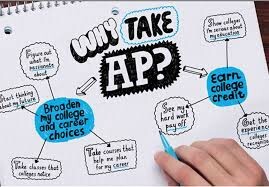 Reminder that all students are required to take the AP Exam for their AP class. The 2018 AP Exam fee is $94.00 per exam. Exam fees are due to Mrs. Gallagher by Friday April 5th. Checks should be made payable to "Scituate High School" with "AP Exam" written in the lower right corner. Financial assistance is available, please contact Mr. Hassell for more information. Mandatory pre-registration for AP Exams will be Period 9 on Thursday, May 2nd in the library with Mrs. Charon. Contact Mrs. Charon with questions regarding AP Exams. 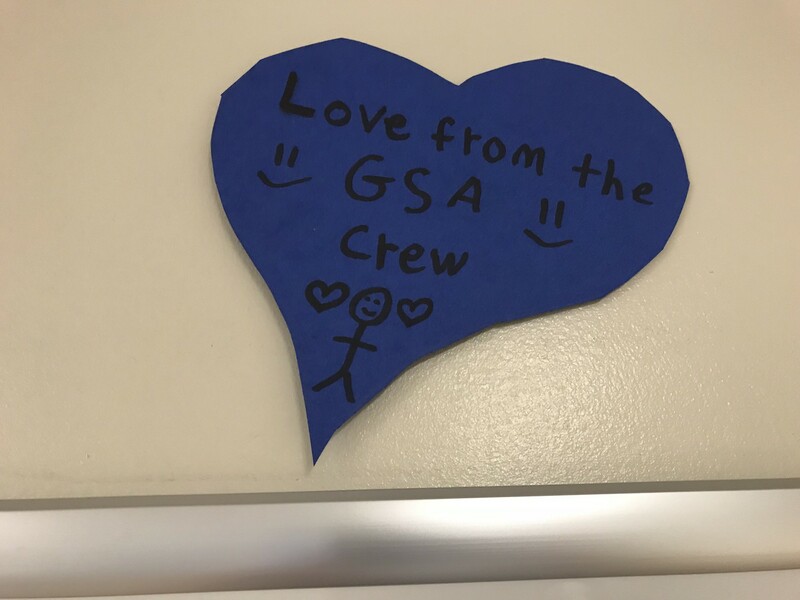 Thanks to all for making the GSA Ice Cream Social a great success. 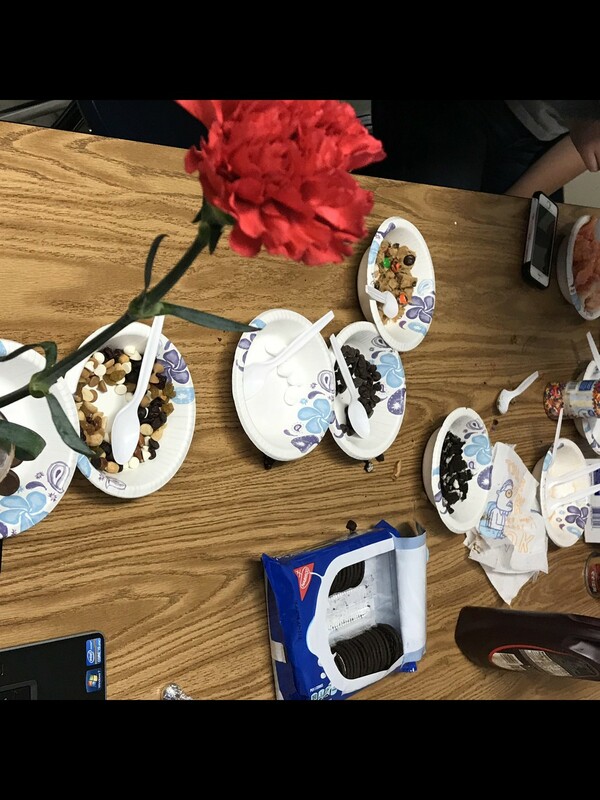 Students helped to raise awareness, enjoyed great conversations, and had a smorgasbord of ice cream. 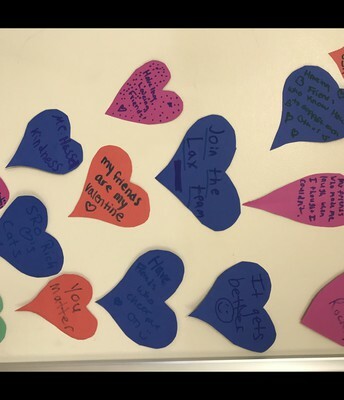 Faculty and students shared positive messages and put them on hearts for Valentine’s Day which were posted in the cafeteria. Keep spreading the love! Need to Purchase a New Mattress?? As the old sayings go.... "It Ain't Over Till it's Over!" & "We MAY be Down but we are not OUT!" Congratulations to Our Lady Spartans Basketball!! 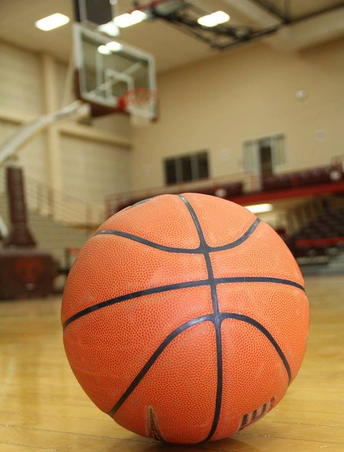 Ranking 5th of 50 STATEWIDE DI, DII & DIII Teams, earning them a spot in the GIRLS Basketball STATE Tournament! LET'S DO THIS SPARTANS!! WE ARE SO VERY PROUD OF YOU! 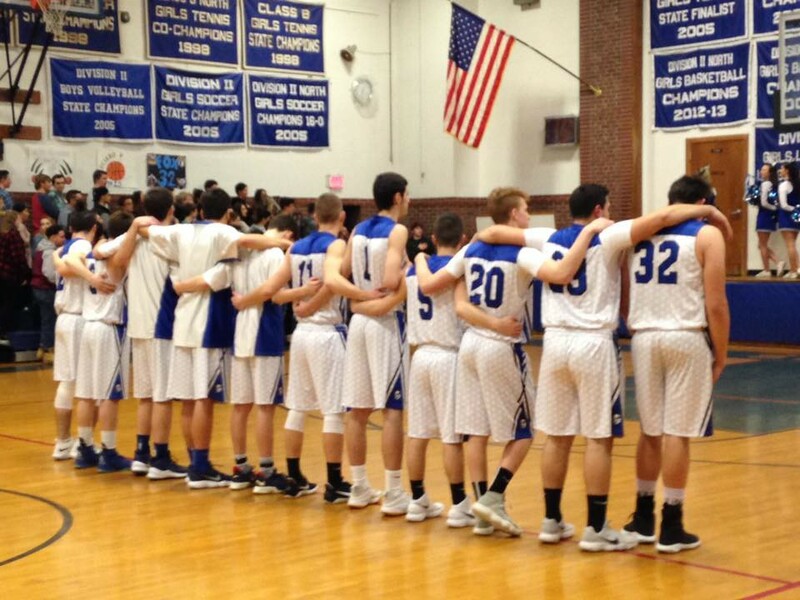 Congrats to another GREAT season from our Boys Basketball team! The boys played strong ALL season and will be back next year for another shot at the state title! GO SPARTANS! Download Activity Scheduler com.rschooltoday.activityscheduler free- latest and older versions 1.12.2 1.12.0 1.11.4 available. Android App by rSchoolToday.